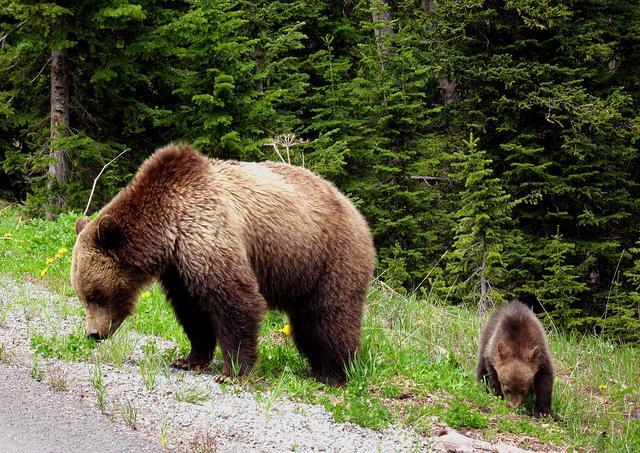 The Nature Conservancy of Canada has just made it easier for a threatened South Selkirk population of grizzly bears to connect with a larger population to the east. The group has added over 150 hectares to the Frog Bear Conservation Corridor that runs through the Creston Valley – creating a safe passage for grizzlies travelling between the Selkirk and Purcell mountains. Connecting the threatened South Selkirk grizzly bears with the more abundant grizzly population to the east is considered critical to the long term prospects for this species in this corner of the province. Biologists have identified the lands being conserved as key areas used by bears as they move through the valley. One parcel is a 65-hectare forested property on the western edge of the valley that serves as a gateway for bears moving down from the mountains. The land was purchased from Creston-based Wynndel Box and Lumber and is adjacent to the Creston Valley Wildlife Management Area. An additional 85 hectares has been protected through a conservation covenant that will prevent the subdivision of the valley-bottom land. The property will continue to be used for agriculture. The Yellowstone to Yukon Conservation Initiative (Y2Y) played a critical role in this project. The joint US-Canada organization works to ensure that wild animals are able to move through and around human communities and activities within the Yellowstone to Yukon region. Y2Y not only provided half of the purchase funds for the property, but also helped fund the research that identified the significance of this parcel. The total cost of conserving these two parcels is $1.14 million, which includes an endowment to fund the long-term management of the project.